DIY Varied Carpet Beetle Control. Get Rid of Beetles Yourself! 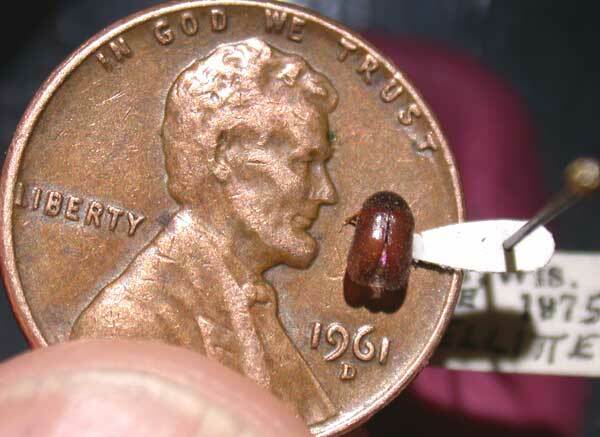 The varied carpet beetle is the most common beetle you'll find trying to snack on your clothes. But it is not the adults who do the damage but the young, called larvae and they love feeding on cashmere, mink, wool and even sometimes cotton when it is soiled. But their appetite is mostly reserved for hair-derived products. If you see an adult it will remind you of its cousin the black-carpet beetle only this one has brown and white tannish mixture scales that cover the topside of its body. Diet: hair, carpet, wool, hides, dead furs, feathers, insects, horns, silk, bones. This part is real easy, take all your items out of your closet, inspecting them as you do so. Set aside any items you believe are infested. Next, vacuum and sanitize the closet, walls, carpet, shelves, etc. Larvae can be hiding anywhere in the close it, don't take chances. Last, do a second inspection of your clothes before you place them back in your closet, again setting aside items you believe have larvae in them. All affected items will have to to be dry cleaned. First thing you need to remember here is never use pesticides on your garments. When using the chemicals to combat the varied beetle we will only focus on the baseboards, crevices, cracks. Never on clothes! After you've identified the infested areas inside your closet and there are no clothes in it begin to treat the heavily infested areas first moving down to the lesser areas. Pyrethrum / pyrethroid works well, you simply spray it on walls where you see cracks and crevices. Some areas you might want to focus on as well include the grooves behind shelving areas and where walls meet. At this point you might be tempted to spray the whole closet or the whole house, but it is not necessary. Concentrate on the infested areas and other areas mentioned above. If you suspect you have a heavy infestation and simply desire a more lasting result consider using a residual spray, with this one though spot spray only focusing on crevices, cracks and baseboards.